Prepping for a trip to the Alps in just over a weeks time it's time to go shopping and find some luggage to fit the RS. I was recommended to look at the SW Motec Blaze panniers but after a conversation with the manufacturer, they don’t think that their setup for the previous generation of Street Triple would fit my shiny new RS, so I had to look elsewhere. I was keen to keep things slim and practical without overloading myself with copious amounts of cumbersome unnecessary luggage. I quite simply need enough space for my evening clothes, tooth brush and some lenses and camera chargers out of my backpack to reduce the strain on my spine. So what is wrong with the new Blade? 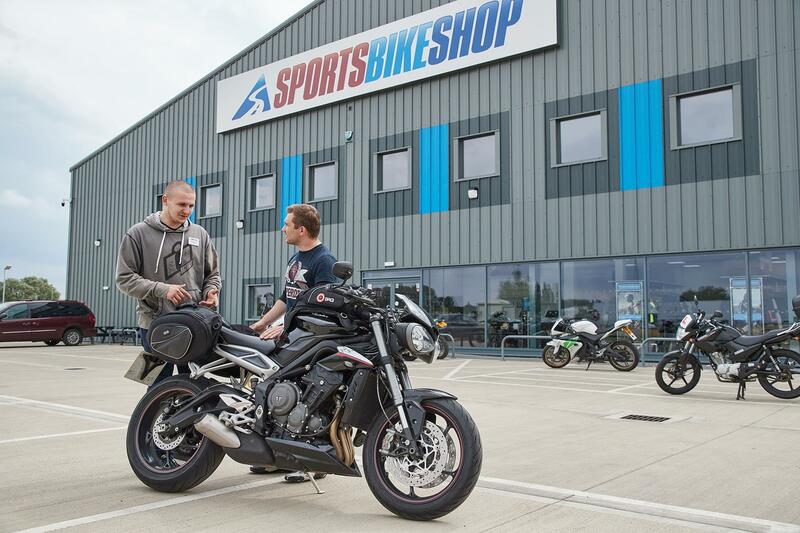 I shot down the road to see the lovely people at Sports Bike Shop, Boston, Lincolnshire to try out some of their huge stock of luggage, and finally found a set that fit. The biggest problem we found when offering up panniers to the bike was the disappearing rear end of the street triple as it tapers off to the rear light. 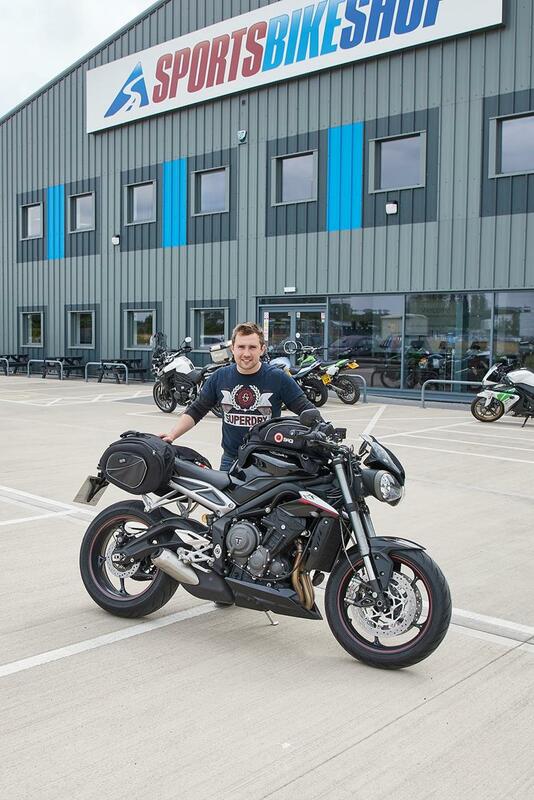 The panniers would hug the line of the bike and therefore end up sat over the rear wheel. One big bump or pot hole and it’s good bye pants and socks. After going through many sets trying to find a universal set that fits best, I’ve settled on some DXR Camel Sport Universal Panniers which do the job. 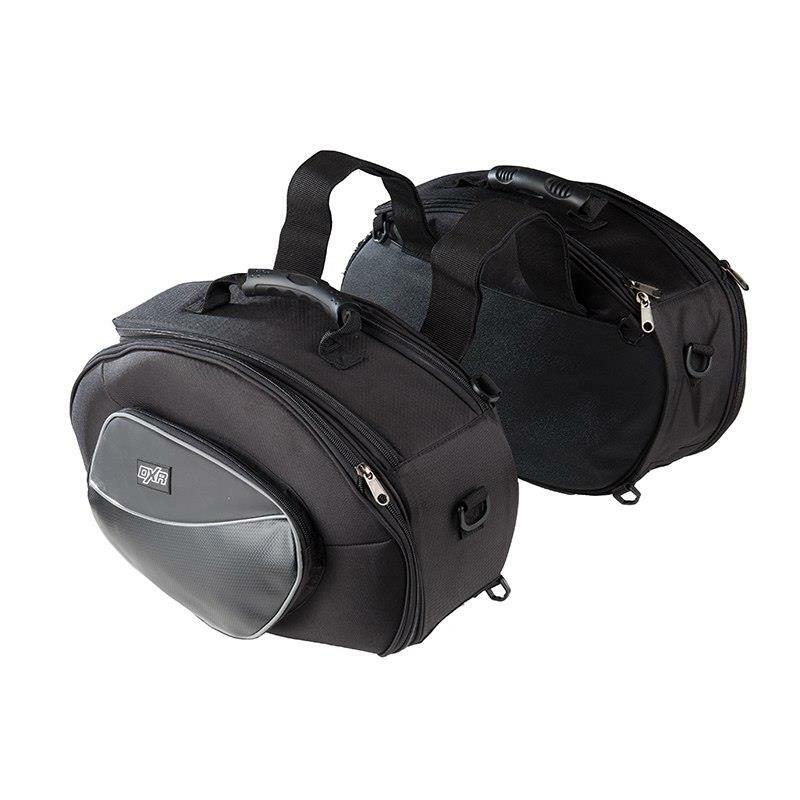 They’re 20 litres each, expandable to 30 and are specifically designed for sports bikes. They also don't break the bank at just £59.99. They seem well made with strong stitching and thick zippers as well as side pockets, top access to the main compartment, fully waterproof rain covers and carry handles. To see the full spec click here. As for getting some weight out of my backpack without having camera kit hung out over the sides of the rear wheel, a larger tank bag was in store. I didn’t have to look far before setting my eyes on the QBag Tank Bag 7. A magnetic 25 litre tank bag that’s expandable to 35 with great quality materials, good looks and lots of features to keep my kit safe and dry as well as being aesthetically designed to allow maximum comfort on the bike. 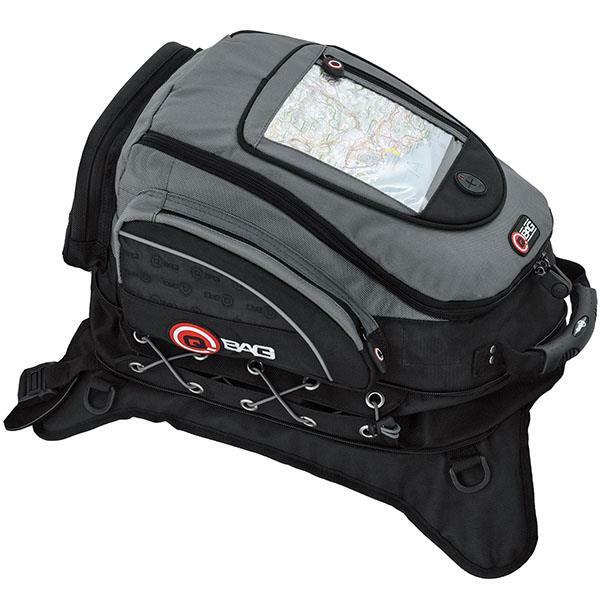 It has a waterproof rain cover, incredibly easy access for loading and unloading, lateral compression straps, variable partition system and mesh compartments to help keep things organised and a window for a map or sat nav. Priced at £93.99, up close and personal it definitely seems worth the money. It’s big, but not bulky and allows adequate room for full lock to lock steering without clouting those thumbs. You can see the full spec here. All in all, a successful day and one step closer to my Alpine adventure. I’ll keep you posted on how all the kit holds up over the next few thousand miles and if they’re both as good as they look. Almost 6000 miles covered and I’m still loving the RS, but it’s time to start giving her some bling.